The pads can be worn with regular underwear, and are anatomically shaped in order to ensure maximum comfort and discretion during use. 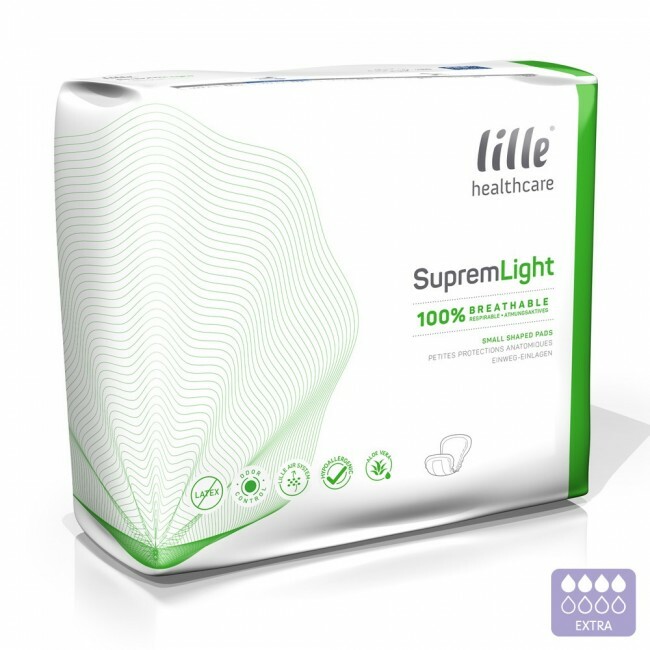 Soft, elasticated sides are included in the pads, allowing for easy fitting whilst providing a reassuring leakage barrier. 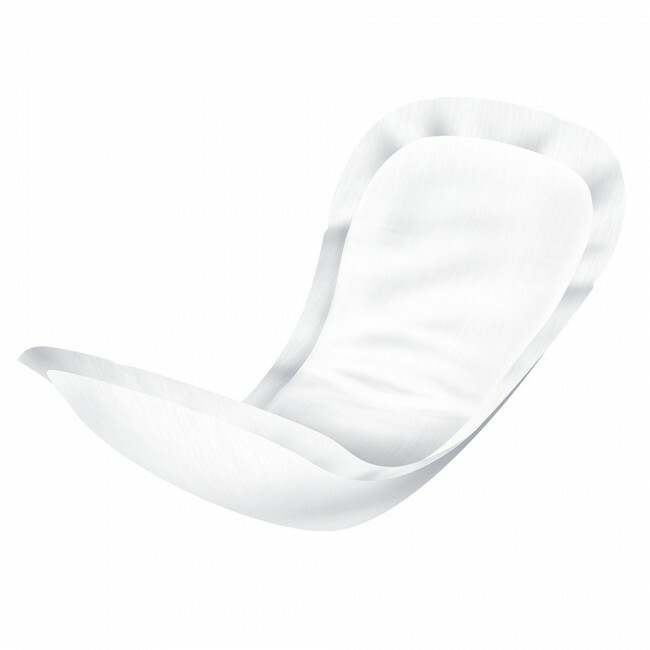 The pads feature a double absorbent layer and waterproof back sheet to protect against any leakages. Featuring a non-rustle backing sheet, these pads allow users to relax and enjoy an active lifestyle with confidence. Breathable textile backing in the pads The addition of special odour control technology means you are able to relax and enjoy your day without the worry of any unwanted odour during use. 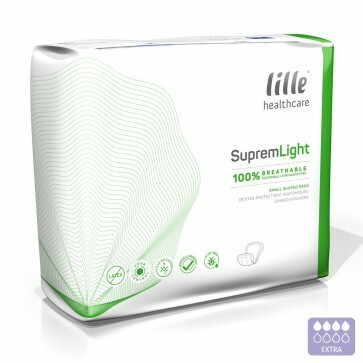 Lille Suprem Light Extra Plus also feature super absorbent polymer to maintain the user's dignity.